07:57 | Santo Domingo (Dominican Republic), Jul. 31. Peru exhorted Latin American countries to work on equity and empowerment of women and girls, after explaining that gender equality is a basic tenet of human rights. The event, organized by Economic Commission for Latin America and the Caribbean (ECLAC), sees the participation if Women Ministers and other government representatives from Latin America and the Caribbean, as well as regional gender equality experts, within the framework of the international debate about, amongst other topics, the post-2015 development agenda. 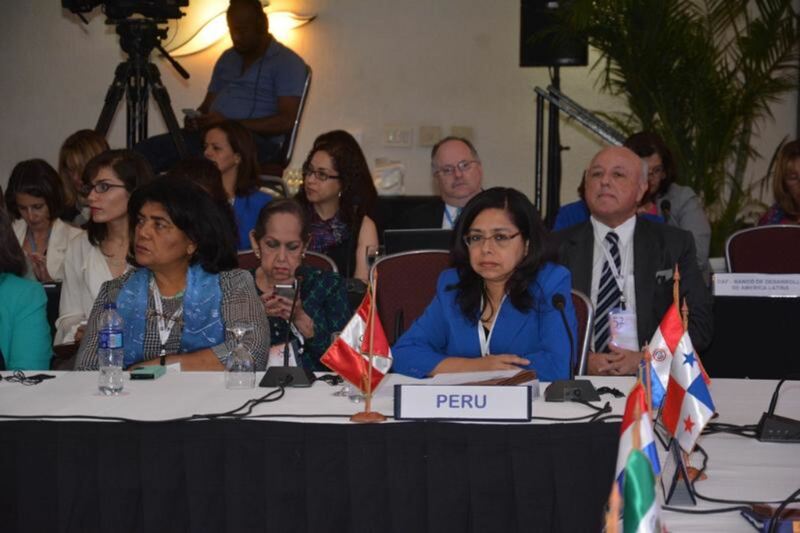 Peru, as member of the Presiding Officers of the Regional Conference on Women, takes part in discussions and decisions regarding topics such as compliance of international and regional agreements on gender equality and incorporation of the gender perspective in the regional development. The period agreed for achieving the Millennium Development Goals comes to an end in 2015. Since 2012, a process has been under way to define the new development agenda that will guide the work of ECLAC, and the United Nations system as a whole, until 2030. Following 13 rounds of intense negotiations, United Nations Member States have been able to propose sustainable development goals (SDGs) and have identified specific targets for a global post-2015 agenda, which includes the gender perspective as a central focus. Likewise, as a part of the preparatory process towards the XIII Regional Conference on Women in Latin America and the Caribbean, to be celebrated in Uruguay in 2016, a draft annotated index of the position paper of that conference will be presented at the end of the aforementioned meeting. This contribution will be remarkable because it will propose a series of actions and recommendations that countries will implement through their plans, programs and public policies in favor of women and girls across the region and in every nation.